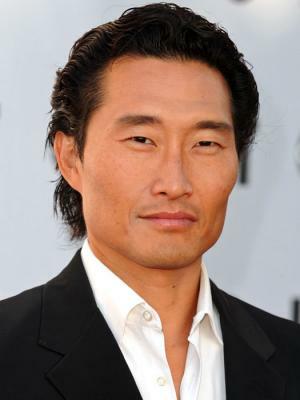 Daniel Dae Kim was born on the 4th August 1968, in Busan, South Korea, and is a Korean-American actor and director, best known to the world for portraying the Jin-Soo Kwon in the highly popular TV series “Lost” (2004-2010). Apart from the series, Daniel has featured in various TV series and films, including “Hawaii Five-O” (2010-2016) and “Crash” (2004), among others, all of which have added a lot to his net worth. Have you ever wondered how rich Daniel Dae Kim is, as of mid- 2016? According to authoritative sources, it has been estimated that Kim`s net worth is as high as $8 million, an amount mostly earned through his career as an actor, however, he has also started a production company – 3AD – which venture has also increased his wealth. Although born in South Korea, Daniel was raised in Lehigh Valley, Bethlehem, Pennsylvania USA, as his family moved there when he was still a child. He went to Freedom High School, after which he attended Haverford College. His education didn`t stop there, as he became focused on acting, and studied the art at Bryn Mawr College, and then graduated from the Graduate Acting Program, which is a part of the studies at New York University. Daniel`s career began even before his graduation; in 1991 he got the part of Gao in the film “American Shaolin”, after which he made several cameo appearances in TV series, including “Law & Order” (1994), “All My Children” (1995), and “NYPD Blue” (1997), among others, until being selected for the role of Akashi in the film “The Jackal”, directed by Michael Caton-Jones, and starring Bruce Willis, Richard Gere and J.K. Simmons. The role propelled him further into the acting world, and in 1999 he was selected for the role of Lt. John Matheson in the TV series “Crusade”. His net worth was certainly well established. With the beginning of the 2000s, his career reached a whole new level, as he began to be cast in more notable roles in what became popular films and TV series. Such roles included as Gavin Park in the TV series “Angel” (2001-2003), as Tom Baker in “24” (2003), and as Jim Kwon in “Lost” (2004-2010) – that particular role added a considerable amount to his net worth, as he appeared in 117 episodes of the show. While the series lasted, Daniel also appeared in several films, including “The Cave” (2005), “The Onion Movie” (2008), and in the TV series “The Andromeda Strain” (2008). Following the end of the series, Daniel sought new engagements, and landed the role of Chin Ho Kelly in the TV series “Hawaii Five-0” (2010-2016), increasing further his net worth. In 2012 he was selected for the role of Hiroshi Sato in the TV series “The Legend Of Korra” (2012-2014), and in 2015 he had several successful projects, including in “Insurgent” as Jack Kang, and “Ktown Cowboys”. Most recently, Daniel repeated his role from Isurgent in its sequel “Allegiant”, released in 2016, which have also boosted his net worth. Daniel`s net worth has also increased from his work as voice actor; some of his credits include characters from video games series “Saints Row”, and the animated series “Justice League” (2006), among others. Thanks to his skills, Daniel has won several prestigious nominations and awards, including the Gold Derby TV Award for category Ensemble of the year, shared with other colleagues from the TV series “Lost”, and SAG Award in category Outstanding Performance by an Ensemble in a Drama Series, also for his work on TV series “Lost”. Regarding his personal life, Daniel Dae Kim has been married to Mia Haeyoung Rhee since 1993; the couple has two children. 1 [on why he loves theater] There's something about being in a house with an audience, and having that immediate feedback. I started acting because of that energy; it's what feeds me on stage and informs my choices. What's great in theater is that you can sustain the arc of a character for a full three hours, whereas in film or TV, you have to create that arc in little pieces, and usually out of sequence. 2 Being chosen for the part of Jin Kwon on Lost (2004) meant that he had to relearn speaking Korean very fast, a language he hadn't effectively spoken since his childhood. 3 He was included on People Magazine's list of the sexiest men alive in 2005. Matthew McConaughey topped the list. 4 He attended Freedom High School in Bethlehem, Pennsylvania, the same high school as Dwayne Johnson. 5 While getting small parts in plays and writing and performing in an improv comedy group, he seriously considered a career in investment banking. 6 Earned a Bachelor of Arts degree from Haverford College/Bryn Mawr College in Theatre & Political Science. 7 Grew up in Easton, Pennsylvania. 8 Son born in 1996. 9 He holds an M.F.A. from the Graduate Acting program at New York University.